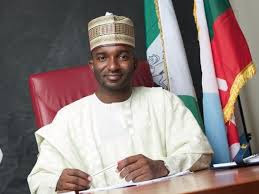 The senator representing Adamawa Central in the National Assembly, Abdul-Aziz Murtala Nyako has explained why he sponsored ‘not too young to run’ Bill. GIFTED BLOG reports that the bill was recently passed by the Senate amid applause by the Nigerian youths. He made this known at Babcock University in Ilisan-Remo, Ogun State. The senator, addressing the delegates at the first Babcock University International Model United Nations (BUIMUN) conference, said Nigerian youths were now more sophisticated and conversant with their rights. Nyako, who doubles as Chairman, Senate Committee on Special Duties, said, “the Bill that now gives room for younger people to hold elective positions, which had been widely applauded, would lead to an amendment of the Nigerian constitution.